Take the Skyoine Drive to about mile 45. Park at the Hawksbill parking area and take a onw mile hike to the summit. 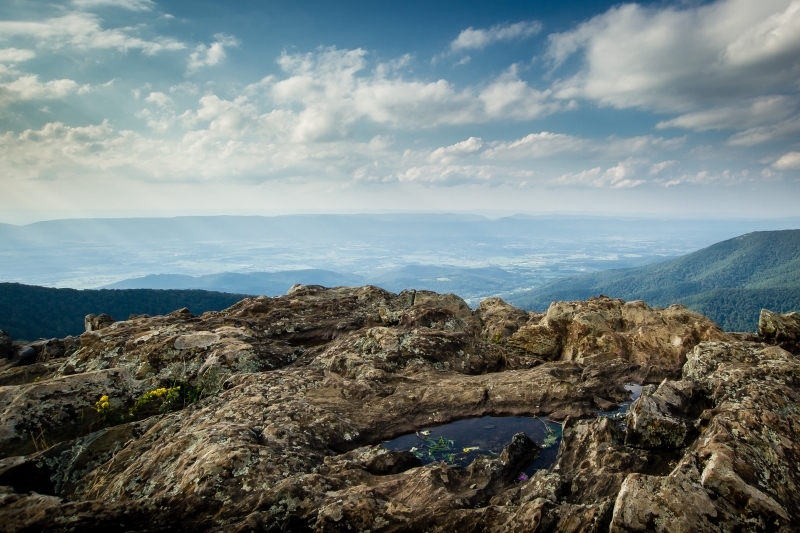 Water puddle at the summit of Hawksbill mountian on Skyline drive. The view is overlooking the Shennandoah Valey.